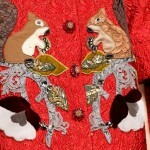 Fall-Winter 2014/2015 luxurious collection demonstrates inspiration with applied art and its triumph – Fingerless gloves, embroidered with beads and stones, handbags and shoes in stones and rhinestones, coats and jackets with embroidery, whimsical floral appliques and prints – a truly amazing collection in detail for inspiration and creativity. 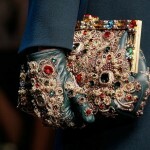 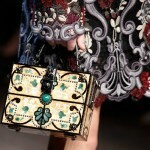 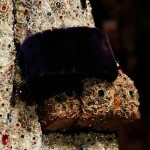 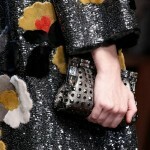 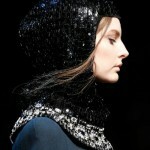 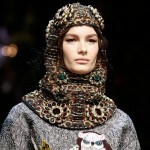 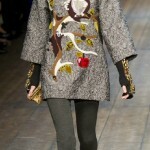 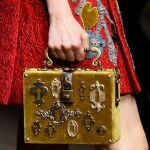 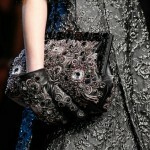 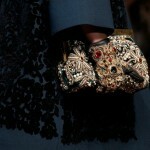 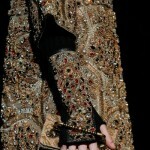 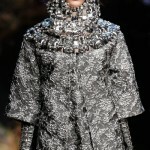 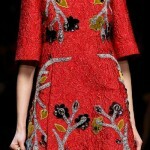 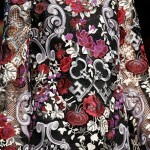 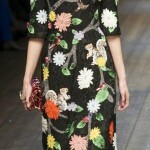 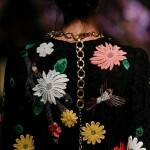 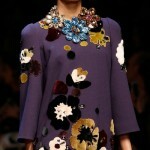 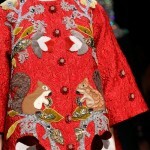 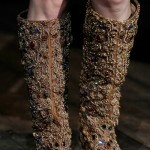 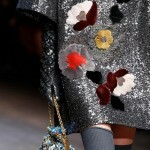 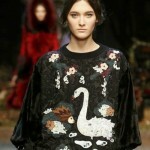 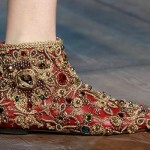 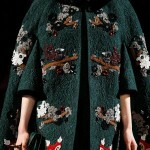 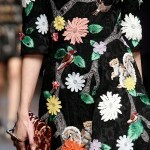 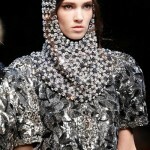 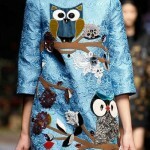 As always, Dolce & Gabbana was creative, luxurious and fairy-tale like, from “Once upon a time in Sicily…” beginning. 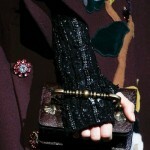 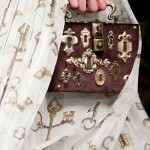 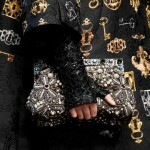 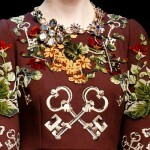 The ‘key’ motif was literally the key itself, gold key prints covered beautiful textile. 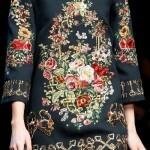 Meanwhile, the artful Dolce & Gabbana collection gives brilliant ideas. 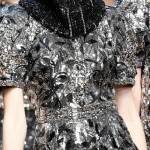 For example, tiresome gray dress covered with lace or lace elements with rhinestones and application turnes into a piece of art. 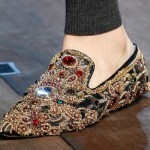 Applications – it’s easy, the wish to make it appeares as soon as you see the stunning beauty products that demonstrate the model on the catwalk. 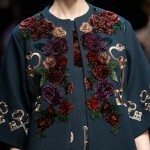 Average coat can look completely new, you need to replace the simple buttons with the new ones in the form of brooches.